An air purifier is a machine that cleans and disinfects the air inside your home. 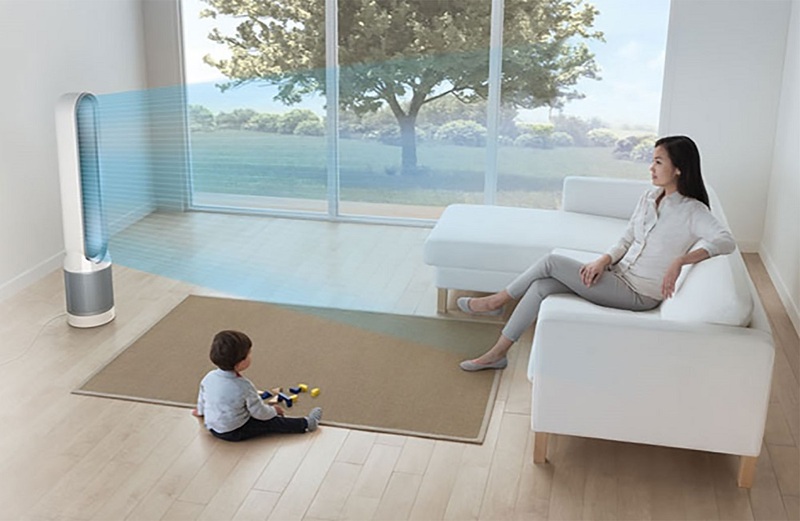 There are different types of air purifier that effectively eliminate air particles or dust, decrease the bacteria and fungi and reduce unwanted odors. What Are the Sources of Indoor Pollutants? Micro-organisms including molds, fungi, mildew, bacteria, pathogens and viruses that thrive in high humidity areas and in poorly maintained air conditioners, humidifiers, and dehumidifiers. Biological Pollutants including dust particles, animal dander and pollen. Household Hazardous Wastes are materials that are toxic - Lead, Asbestos and Formaldehyde are some of these. Volatile Organic Compounds including paints, solvents, pesticides, herbicides, kerosene, disinfectants, cleaning supplies, adhesives, waxes, etc. Combustion Pollutants including gases or particles from cigarette smoking, heating appliances which burn fuel like burners, fireplaces, water heaters, clothes dryers and exhaust from vehicles and other activities like welding or soldering. The gases produced from the burning of fuels are carbon monoxide, nitrogen dioxide and sulfur dioxide. These gases when inhaled are harmful to your health! What Are the Health Effects of Indoor Pollutants? Biological pollutants cause allergic reactions and can trigger serious asthma attack. Others are infectious diseases caused by bacteria and viruses. Hazardous wastes and volatile organic compounds, on the other hand, may cause eye, nose and throat irritation, headache or nausea; long exposure may lead to high blood pressure, anemia, kidney disorders and even cancer. For children, it may affect their mental development. What Are the Things to Consider in Choosing the Right Air Purifier? 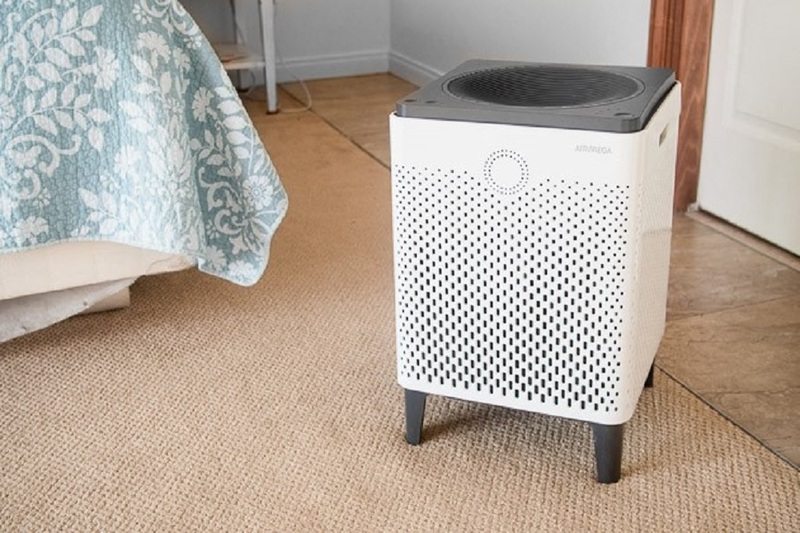 Looking for an air purifier that looks best, of good quality and at minimal cost needs a lot of time for research and study and there are things you need to consider before buying one. Aside from the price and the performance, some of the factors that you need to consider are the area of the room to determine the size and capacity of air purifier is needed, the maintenance costs like the frequency of filter replacement. Sometimes filters to be replaced are more costly than buying a new air purifier. Another thing is the cost of energy consumption, the noise level, product features and warranty of the product. Before buying, try to compare the different types of air purifiers. You may visit a store or do some research online. There are product reviews on the internet that will help you understand the advantages and disadvantages of the purifiers available on the market today. What Are the Types of Air Purifier? HEPA (High-Efficiency Particulate Air) Mechanical Filtration: This unit contains a HEPA filter, which has filter media or paper with very small openings. It was originally designed by the Atomic Energy Commission to capture radioactive dust particles. Only very small particles can pass through and it is good for filtering house dust, pollen, animal and mold spores. UV Air Purifier: This air purifier has UV filters and a UV lamp that emits Ultraviolet light which kills bacteria and viruses. These are often used in hospitals, schools, hotels and clinical laboratories. Ozone and Ion Generator: This type of air purifier produces ions (charged particles) to clean the air. The ions and dust in the air combine, the impurities will then attach to surfaces. Electrostatic or Electronic Air Purifier: This purifier uses electronic cells to charge the particles in the purifier. It has a fan that pulls airflow over the collector plates where impurities are captured. Charged media Filter: It is the same as Electrostatic Purifier in function; the only difference is that it uses a fiber filter instead of plates. It is better because the fiber filter can collect even the tiny particles. Activated carbon Filter: This filter is good for eliminating odors from smoke and chemical fumes. Shopping for the best air purifier really requires a lot of research and time. You do not want to end up choosing a product that is not worth the money. There are many options available so you have to think twice or many times before making a final decision! Author Bio: Katie is a woman who loves writing about technology on Hubnames. She has just published air purifier review. Sleeper sofas are generally sofas that have a mechanism for opening and closing that enables them to be simultaneously used as beds. They often come with mattresses, although different products will have different mattresses. There are those that will have innerspring mattresses, others that are air beds and some that will come with specialty mattresses. The kind of mattress will often influence the pricing. However, this is not the only factor that influences how much you will pay. Other factors include, quality, the design as well as the manufacturer. It goes without saying that a good product, with a good mattress and an opening and closing mechanism that works (since this feature can give people problems), will come at a higher price point than others. This doesn’t mean that the highest priced one is the best sleeper sofa for you. There are many other factors that you have to take into consideration. You need to be very clear on why you need to purchase the sleeper sofa. As with any other kind of furniture, deciding what you need it for will ensure that you not only purchase the right one but also the space it will occupy in your home. In this case, it is important to get clear on whether it will be primarily used for seating or sleeping. If you are going to use it for sleeping, you will want to make sure that the opening and closing mechanism works very well. 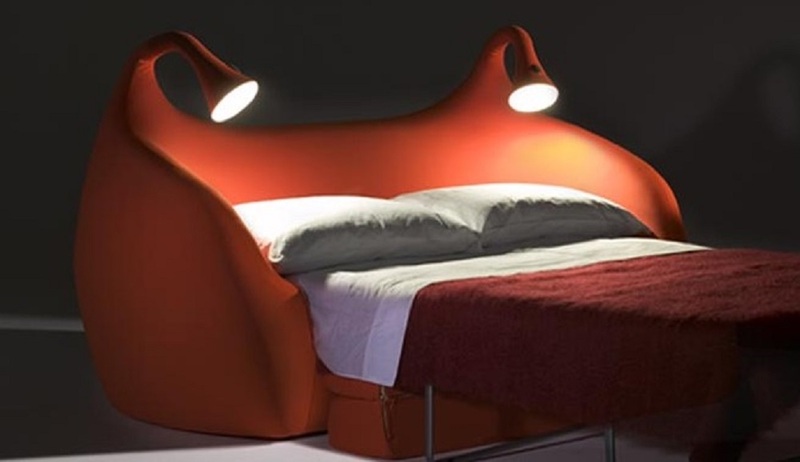 The last thing you need is a bed that is stuck at bedtime or one that refuses to close when you need to transform it into a sofa. Also, if you are buying it for sleeping, you will want to find one with a mattress type you will be happy and comfortable to sleep on. Another factor to consider is space. If you have a small space, a twin sized model is probably best for you. This is because a twin sized one is usually less than 5 feet wide and has a mattress that is about 39″ wide. Opened up it can be 54 inches wide and 85 inches in length. It is just perfect for one person. However, do not expect them to be cheaper or more affordable just because they are small. Other factors such as the design and materials used in the manufacturing will influence pricing. Sometimes when you want to get a good night’s sleep, you will not mind it if it takes up a little more room. A twin sleeper sofa may not be ideal for everyday use as it may not be comfortable, unless you are a child or petite in stature. Therefore, if you are looking for comfort, a full sized model may be what you need. When opened up a full sized one is 72 inches wide and 90 inches in length. When closed it is the size of a sofa or love seat. If you, however, don’t have an issue with space and want the best sleeper sofa that is also large enough to sleep two, you will be well served by a queen sized sleeper sofa. Queen sized ones come in a variety of styles and fabrics and with different mattresses. When closed up, they can easily accommodate three and can provide a good comfortable bed for two when opened up. They measure up to 84 inches wide and 90 inches in length when fully open. Since a sleeper sofa has been at often times used as both a sofa and a bed, you need a piece of furniture that will be able to incorporate both of these requirements but still fit in with your style and design preferences. Try to find one with a hardwood frame: Any piece of furniture made from hardwood will be strong and durable and since you want it to last a long time you want to buy one that has a hardwood frame, if not made entirely of hardwood. The best sleeper sofa in terms of strength and durability is one made from kiln-dried hardwood or a combination if kiln-dried hardwood and plywood. It is best to avoid buying furniture with frames made from softer types of wood such as pine. Choose the one with a good quality open and close mechanism: In order for it to serve its purpose, its opening and closing mechanism needs to be in good working order. A mechanism that is in good working order should lift up and out without sticking or squeaking. Thoroughly inspect the mechanism to ensure that it is well built, and that the parts will not break easily. Make sure the opening and closing mechanism has smooth edges: While you are still on the mechanism, make sure that all the edges of it are smooth so they won’t damage your blankets. It is still advisable to remove the sheets and blankets before closing the sleeper sofa so as to avoid any such damage. Ensure the mattress is of good quality: A good quality mattress can mean the difference between a good night’s sleep or not and should adequately support your shoulders, hips and lower back. This is a factor that is especially important if you are going to be using the sleeper bed for regular sleeping. The best sleeper sofa is one that has a good quality mattress designed for a restful night. Put it to the test: Remember that you are spending your hard earned money to buy a piece of furniture that is probably costing you a lot. So don’t be afraid to test it before you buy it. Open and close the unit to see how the mechanism works. It should be easy to operate. 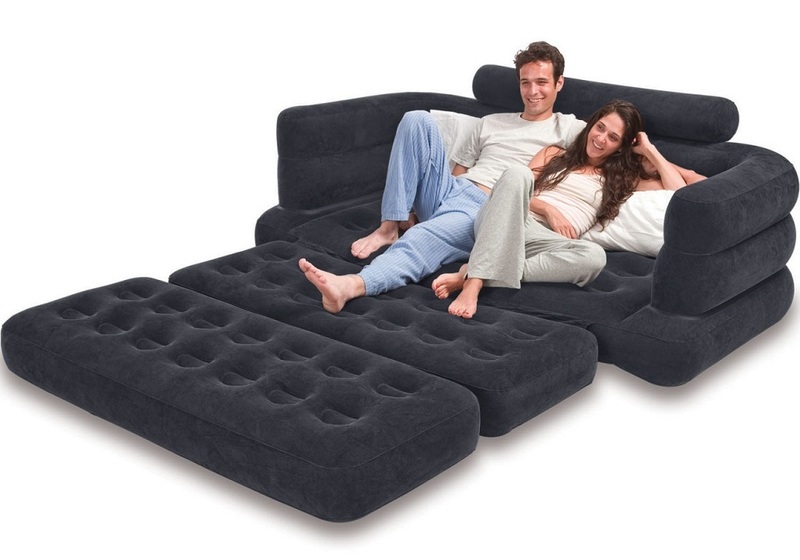 You can also open it fully and lie down to test the mattress. Keep in mind that the best sleeper sofa is one that meets your personal requirements for comfort. Make sure to measure it before buying: Most people overlook this very important factor. Make sure that you measure the bed when fully opened as neglecting these measurements could cause you problems when you are looking for a space for it in your home. You must keep in mind that it needs more room when fully opened than when fully closed. Therefore get the right measurements when it is fully opened and find the right location for it in your home. 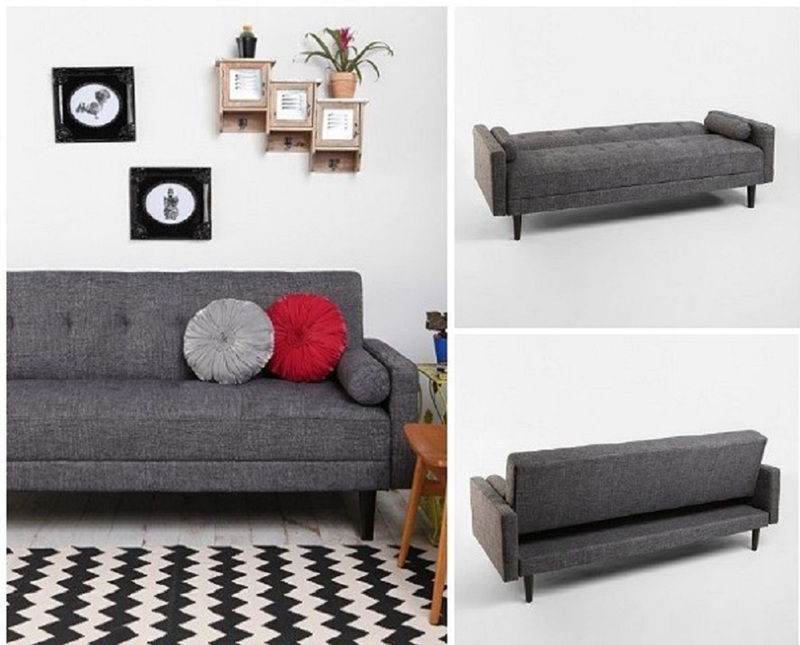 Different sleeper sofas, will retail at different price points and the one you buy will often depend on the amount you are willing to spend as well as what you are looking for. The most suitable product is one that will meet all of the requirements mentioned above and come at a price that is not outrageous. The price will be influenced by a number of factors. Obviously, a well-designed model with an opening and closing mechanism that works well will be more expensive. The type of mattress you want will also influence the price point. Models with a good mattress will be slightly more expensive than one whose mattress it thin and not comfortable. If you want one with a specialty mattress, you will obviously have to pay more. Looking at all of these factors, it is easy to see that the amount you spend will often be determined by what your ideal sleeper sofa is and how often you will use it for sleeping. It is not advisable to go for a cheap one, especially if you are looking to buy one to be used as both a bed and sofa. It is also not advisable to buy one that has been used before such as the ones sold at backyard sales. There are however a few ways to make sure that you get the right price. First of all, it would be easier to find the right one for you at a price that is reasonable, if you shop around for a while before settling on one. This not only ensures that you are able to get the right sleeper sofa for you in terms of quality and design, but that you are able to compare prices to suit your wallet. You can also wait to buy when sleeper sofas are on sale. At this time, some retailers may cut the price by up to 20%. Just be on the lookout for sleeper sofas that go on sale, you may find one for you at a price you can easily afford. Is It Time for A New One? The easiest way to know you need to replace your sleeper is when the opening mechanism begins to cause you problems. This is the most important part of a sleeper, you could even say it is what make the sleeper sofa, a sleeper sofa. So if you begin to notice that it is not working correctly and gets stuck when you try to open it, it is time to replace the sleeper. The other telltale sign that your sleeper is aging can easily be identified by a less than comfortable mattress. If a once very comfortable sofa bed, makes you feel more tired in the morning than you did when you went to bed last night, it is time to start thinking about replacing it. If, however, your sleeper’s mechanism is working just fine, but you suspect that the mattress has lost its comfort, capability, you can replace the mattress rather than having to spend a lot of money on a new sleeper. You can also make the mattress more comfortable by covering it with a mattress topper or adding another layer underneath it. You may also find that in an old sleeper, the supporting bar can be felt through the mattress making it quite uncomfortable. In this case, you can still fix the problem without having to buy a new sleeper. Just place folded blankets or comforters directly on top of the supporting bars. You can also put plywood pieces underneath the mattress, although the problem with this strategy is that you will have to remove the plywood every time you want to close the sleeper. Changing the frames may not also be a viable option, especially if you have a very old sleeper. This is because newer sleepers are made very differently from the older models and you may not find a frame that will be the right fit for your sleeper. Sometimes repairs are not possible and you have to buy a new one. Remember to adequately test a new sleeper when you decide to buy it. Your new sleeper should have a comfortable mattress, a good working mechanism that will not get stuck and be the right size for your space. The good news is that there are very many new designs for sleeper sofas in the market for you to choose from. Take your time to ensure you get the sleeper that fits your needs perfectly. Whether you're thinking about putting your house in the market in the future or you simply just want to dapper it to increase its value, you always have to be careful that you don't hurt your savings and budget. Instead of spending thousands of dollars on large-scale renovating projects, it is a good idea to consider grabbing a set of tools from the shed, get your hands dirty and do some DIY projects. Visually Increase Your Home’s Square Footage: How big or small your home is will have a direct effect on its value, but that's not the only space that matters. How large a home feels or its visual space also matters. It is essential to make each room in your home to feel larger than it really is. There are many ways to do this without any construction needed. You can utilize your space to its full potential by using a multi-purpose storage instead of the current storage you're using, replacing heavy curtains with shutters to let the light in and installing large mirrors in a small room which will enhance its size. Most importantly, remove any clutter you have lying around like old stuff that you're not using on a daily basis, the more clutter you have in a room the more it will feel small. Interior Flooring: Old and stuffy carpeting is not something that you want; it will not do your home any benefits. Nowadays, people are opting for clean, stylish and modern floors. Hardwood floors may be easy to maintain and long lasting, but a good quality carpet can totally make a room inviting and warm. If your flooring has imperfections you definitely have to fix it and make sure to replace your carpets if they're already old. Upgrade Your Kitchen: Most homeowners consider their kitchen as the heart of their home that's why an upgrade to this room can really pay off. If your kitchen is out-dated, then it's time to do a bit of updating. You don't have to go as far as installing a new cabinet or new appliance which can be really expensive to give your kitchen a fresh look. You can easily cover up scratches on cabinets by painting it with neutral colors and even paint old appliances to give it a new look. You can also switch old hardware with new drawer and cabinet pulls to invigorate the room. Reinvent A Room: To save money, you can do a makeover in an existing space in your home. You can finish a basement, convert the attic to a bedroom or if you have a den, you can turn it into a bedroom by simply adding a closet. An additional room to your house will add up a lot to its value. Move the Laundry: The most common location of a laundry room is in the basement. However, these days most people want convenience and are opting to place their washer and dryer in the second floor of their home near the bathroom or bedroom. Placing the front loading washer and dryer in a closet is a good way to create a second-floor laundry room. It can be a bit expensive to move your laundry area upstairs due to all the plumbing that needed to be done, but at the end of the day, the advantages and benefits will outweigh its cost. Give Your Bathroom a Makeover: Your bathroom is one of the most important rooms to upgrade next to your kitchen. It can also be improved without having to spend a lot of money. Replacing an old toilet seat and a pedestal sink can create a big impact in the look of your bathroom and be installing it is really simple which you can do on your own. Aside from this, you can also put a fresh coat of paint, hang new towels, re-grout the tiles if your tub and shower looked drab, and good old scrubbing can make your bathroom as good as new. Add Storage: Having plenty of storage is one of the tops must haves in the list of homeowners. But if your house is built before the 70s, it's most probably lacking closet space. majority of old homes are infamous for that. If your storage area is restricted, you can add a DIY wire and laminate closet to your bedrooms, pantries and entry closets. Their firms online with apps that can help you measure and redesign your closet. Aside from this, you can add some details and parts which you can buy from home-improvement stores. Let the Light In: Light fixtures with low-quality lighting can take the focus away from your home's lovely features. If your dining and living room lights are out-dated, consider replacing them with a new and modern chandelier, spending as little as $100 on new lighting can do wonders to your home and give it a modern vibe. You can choose from a wide array of inexpensive lightings at a local home store. It's also a good idea to replace your old light bulbs for ones with a higher wattage. Remove Clutter: A room full of clutter can be really distracting. It is important to get rid of unnecessary items in your house to create an impression of additional space. On your free time during the weekend, you can sort out through your stuff to see which ones you need to keep and which ones you can get rid of. By simple organizing, your desk, clearing off counters and straightening bookshelves can make your home more attractive. Maintenance Work: Addressing the basics of your home is very important before updating your kitchen or upgrading a room. House maintenance work such as attic insulation, plumbing repair, replacing rusty rain gutters, repairing leaky windows etc, can add a significant amount of value to your house. You don't have to shell out a lot from your budget to create a huge difference. A couple hundred dollars of house repair could increase the value of your house by a few thousands of dollars. 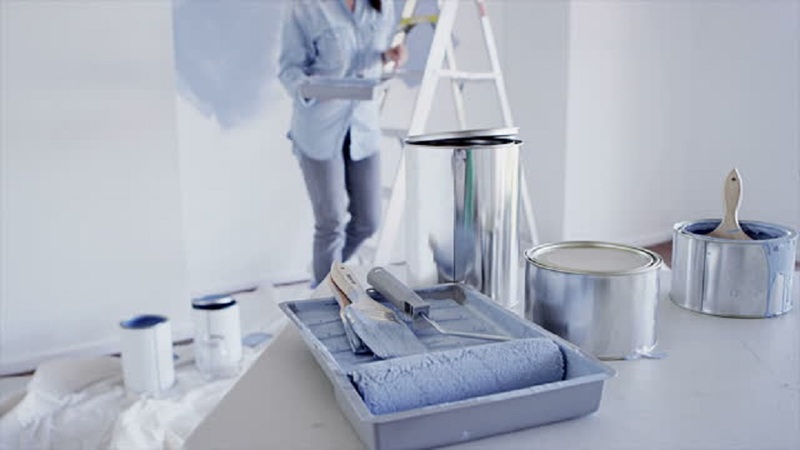 Paint Your Walls Neutral: You may think neutral is boring but it's a strategic way to increase the value of your house. Neutral colors will always be a classic and it gives home a fresh and clean ambiance. If you want a pop of bright colors in your interior, simply throw in some inexpensive throw pillows in bold color or hang colorful paintings on your wall. A neutral color palette is an investment in a way, it guarantees an interior design that will never go out of style. Garden Makeover: Messy trees and shabby bushes can conceal views and darken interiors and can even block the view of your home. Having a well-kept, well designed and clean garden can give your property a great increase in value. You can consult a designer and ask for ideas then create the plans yourself. You can put up specific areas for functions, storage, barbecue, lawn and work area. Having a well-planned deck will create a useable area between your home and garden which can add value. If you don't have the budget for this, you can do basic things like cleaning your garden, pulling out weeds, tidying litters lying around and cutting out overgrown trees or shrubs. Add A Standout Feature: Set apart your home from others by adding a one of a kind feature. Adding a wooden deck or a modern style kitchen will surely boost your home's value. Simple and inexpensive features can be added as well as long as they are properly planned and well-thought of. Restoration and Enhancement: Changes that are not suitable in your home can decrease its value and it is important to remove them in order to increase its value. Getting rid of pine cladding, textured ceilings or walls, plastic fake beams, low-quality laminate flooring and polystyrene ceiling tiles can be a good investment. You can also upgrade panelled doors, polished floorboards, decorative moldings and concealed timber beams to add value to your home. Make sure to learn about how your home is constructed and work your way around it. The Curb Appeal: As they say first impressions last a lifetime and that you'll never get a second chance to make another one. What your home's exterior look is just as important as its interior. It's quite hard to erase negative first impressions because of an unattractive exterior. There are many ways to bump up the curb appeal of your home. 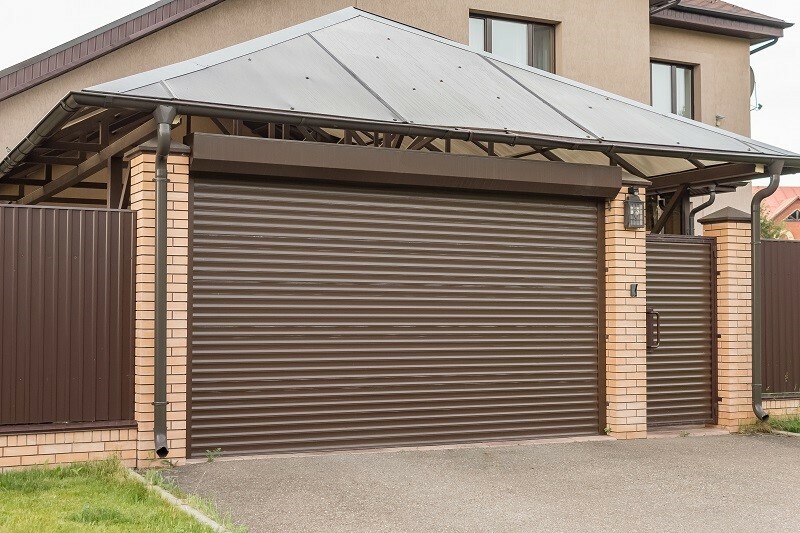 You can repaint walls, repaint doors and windows, replace an old garage door or add a porch. If you're running on a tight budget you can simply cut the grass, rake leaves, remove weeds and trim hedges which can make the exterior of your home more pleasant. Remodeling your house to increase its value does not have to hurt your budget. Little upgrades like painting or installing a new lighting fixture can give your home character and add to its value. Sarah Del Rosario is an aspiring interior designer and painter. When not working, she contributes articles at The Chicago Living.